A diagram showing how the proposed road improvements would affect the traffic on Highway 40 and Eisenhower Drive. The Town of Fraser is gearing up for the implementation of its Pedestrian Safety Improvement Project, which involves construction of traffic calming measures on the section of Highway 40 going through town to make it more walkable. 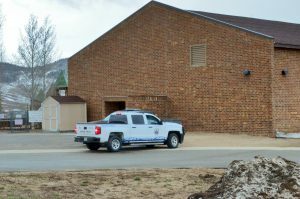 Fraser Town Manager Jeff Durbin said the town has completed all the paperwork for the project and is ready to begin construction this spring or summer. “Once the frost is out of the ground, we’re ready to get started,” he said. Ultimately, the $1.5 million project will improve existing crosswalks and sidewalks, add seven medians, three pedestrian refuge islands and raised landscape bumps to make the area safer for walking. The existing crosswalks at Park and Fraser Avenues will be upgraded and a third crosswalk will be installed at Byers Avenue. Although the project doesn’t involve widening the highway, it does include designating a left turn lane at Eisenhower Drive and Fraser Avenue. “We’re not adding any capacity with this project,” Durbin explained. Once construction has started, Durbin estimated the project will take around two months to complete. Then next spring, the town plans to landscape the new medians to improve their look. 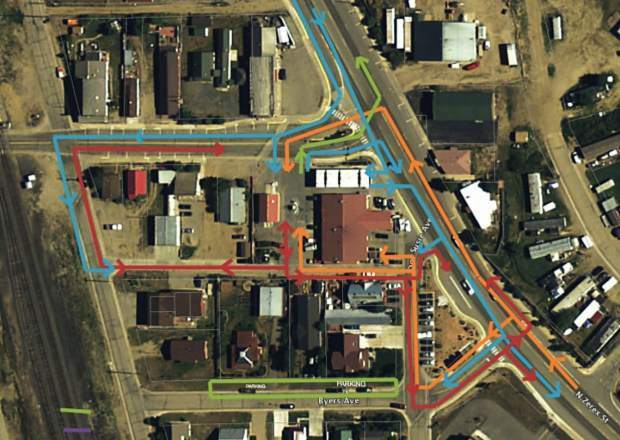 While the project has a large price tag, the town will only be responsible for around $525,000 thanks to two grants from the Colorado Department of Transportation and the Federal Highway Administration totaling over $1 million. The town also budgeted $10,000 for creative pedestrian crossing lighting and is planning for additional costs for landscaping. Durbin said the area was first identified for pedestrian safety improvements in the town’s Downtown Strategic Plan, which includes goals to make downtown Fraser more walkable and aesthetically pleasing.